The latest winter storm will start to materialize on Tuesday morning and is expected to develop throughout the day. It will bring the city another dose of freezing rain and strong winds, and could dump anywhere from 15 to 25 centimetres of snow and ice pellets across the region. “This weather is associated with a Colorado low that will cross southern Ontario Tuesday and Wednesday,” Environment Canada wrote in its statement, which was upgraded to a winter storm watch on Monday morning. Forecasters have suggested the storm could have a “significant impact” on rush hour traffic. Power outages are also possible as conditions swing from snow to freezing rain. The City of Toronto replenished its supply of road salt in anticipation of the storm. Currently, the storage warehouse holds anywhere from 50,000 to 60,000 tonnes of salt. Mark Mills, Toronto’s superintendent of road operations, said main roadways were salted Monday after an overnight dusting of snow. “We think we’ll be out with our salt trucks between 7 a.m. and 8 a.m., and as early as 9 a.m. we will be dropping some plow blades on our main arterial roads and expressways,” Mills said. Metrolinx, which is responsible for GO Transit and the Union-Pearson Express, has a “winter activation plan” in place in anticipation of messy Tuesday commutes. The plan includes a check-over of platforms and vehicles and additional staffing. Heaters, which blow or melt snow and ice off the tracks, will be inspected to ensure they’re working properly in time for tomorrow. For those who scheduled to fly tomorrow, Toronto Pearson International Airport said travellers should prepare for the possibility of cancellations and delays. 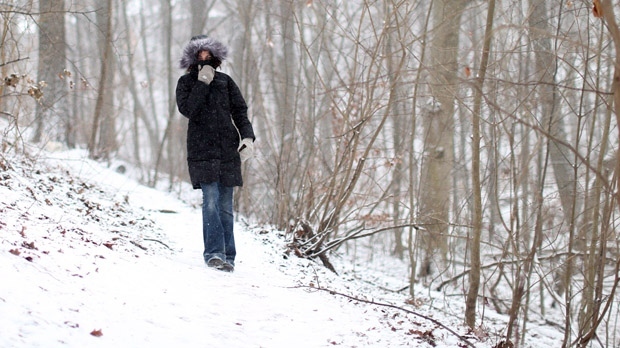 As the storm looms, Torontonians are also being warned about extremely cold temperatures. The city’s medical officer of health issued an extreme cold weather alert on Monday morning as temperatures dip from -2 C to an overnight wind chill value of -19. The alert for Toronto will remain in effect until further notice. 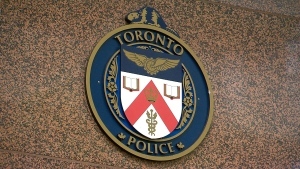 Toronto Public Health advises people to check on vulnerable family members, friends, and neighbours during the advisory. Metro Hall will open by 7 p.m. and operate as a warming centre for those in need of shelter. It will remain open until noon on the day the weather alert is cancelled. Overnight street outreach workers will also ramp up their efforts during the possibly dangerous conditions. More snow is possible on Wednesday, which could bring the total accumulation much higher. A high of -1 C is expected.